We’ve released a new version of our creator tool for Mac! 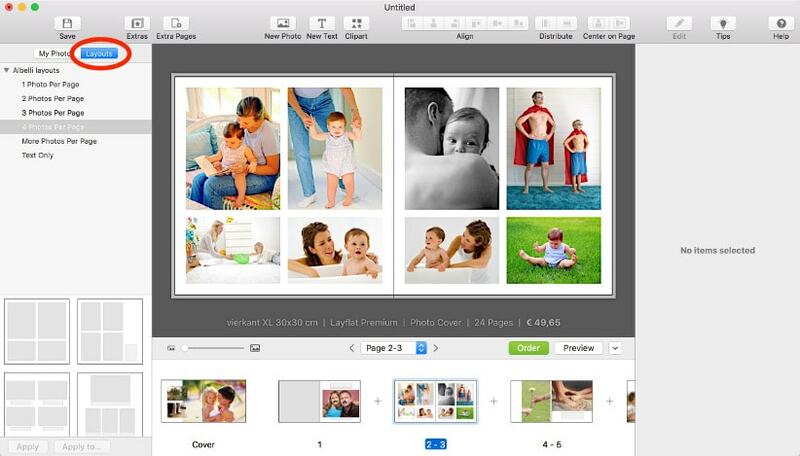 Version 3.5 makes it even easier to create your photo book. Below, you’ll see what’s new and improved. Choose from more than 1,000 new backgrounds, masks, frames and clip arts. You can download them via the design panel. Just click the “Clip art” button in the toolbar to start. As well as adding so many new design options, we’ll be updating them periodically in order to follow the most up-to-date styles and trends. We removed some of the old graphics as part of the update – but any graphics you’ve used in your photo books will still be available. Layouts have been moved to the layout browser in the left panel. 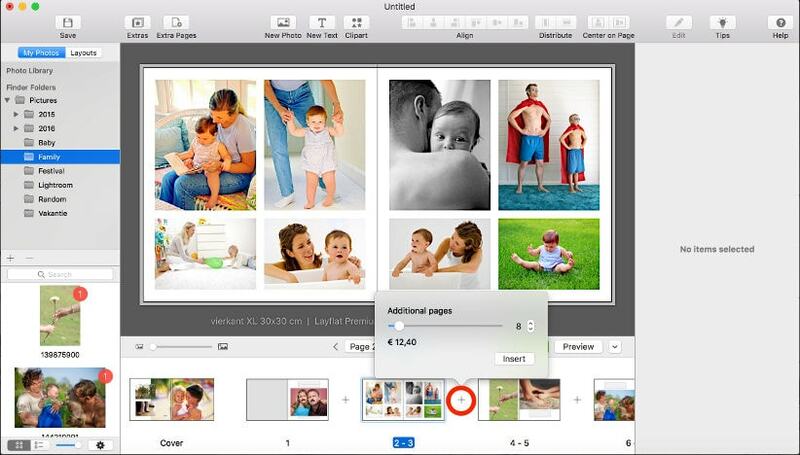 This allows you to easily drag and drop layouts from the left panel on to your photo book. As part of this change, the layouts button in the toolbar is no longer available. 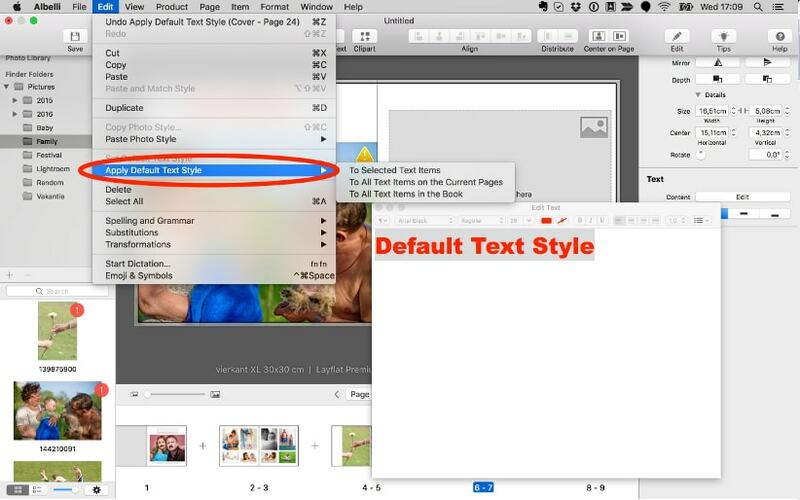 You can now define your favourite text style and easily apply that style to all text items in your book, all text items on the current pages. or all selected text items. This feature is available in the Edit menu. Newly added text fields automatically assume the favourite style you defined. The page overview has been extended with a + button between the pages, allowing you to easily add new pages in between. This feature replaces the “Extra pages” button in the button bar. If you prefer to add pages as you had before, you can either use “Add Pages” from the Page menu or even restore the “Extra pages button” with “Customise Toolbar” in the View menu. 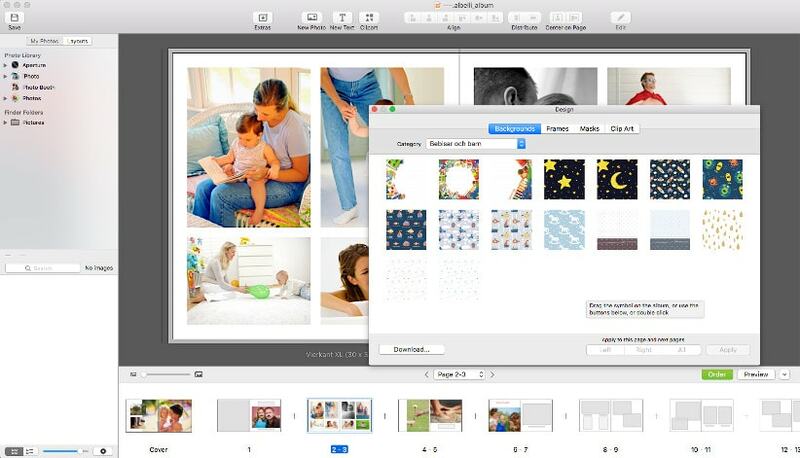 The Photo Library was already available as a photo source in our software. From this version onwards, you can also drag and drop from the Photos application to the bonusprint application.